Whoa, Nelly: Whipping doesn't speed up horses? 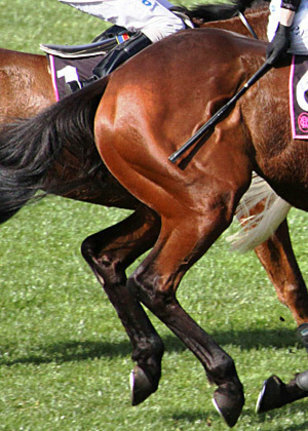 How a horse runs in the first part of a race, when it isn't being whipped, is the most critical factor in racing success, say researchers. The study was backed by an animal rights group.